Marie Norris is celebrating her 92nd birthday on Saturday, April 25. Born April 25, 1923, Marie has lived in Greencastle her whole life, raising three children. Norris is an avid sports fan and spent her life working two jobs while still making it out to support her kids in their sports. Her son coaches basketball in California with his son. She also ran a BBQ joint with her son. Her son was known as Charlie Brown and "everyone knew him and the pit." 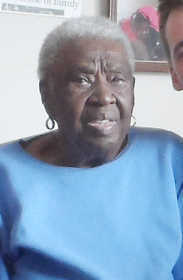 Both Norris and her caretaker report her to be the oldest black woman living in Putnam County.